“Find my iPhone” apps :Here we find!!!! You must be wandering how this app can help you. Actually there are lots of circumstances when you don’t have any idea where your phone can be either in conference, or lost somewhere. Under these circumstances you don’t have to worry, just install “Find My iPhone” and you are not far away from your iPhone. Not only your iPhone, you can also install this app for free for your iPad, iPod touch or Mac devices. With locating your ios device on Google Maps you can also lock your device when you find data in your iphone is protected one. Fortunately, when you lose your iPhone “Find my iPhone’ will help you. For this you have to just sign in to icloud.com on other iPhone to view location of your device on Map. When you realize that your phone contains some protected contents in that case you can set a 4 digit password on your device. In case your iPhone is lost & find no good results for its return than you can remote wipe your private data. You can restore wiped data from iTunes or iCloud. The most unique feature of this app is that in case you forget location of your device in that case your device will automatically switch from silent mode to ringing for 2 minutes, also it will display a message on your device to call at this number if found a device. Firstly check your device it must be ios 5 version or later. For checking your device goto settings<General and see its version. If its not updated version you can update it. After checking device set your mobile me account or you can also turn on iCloud. Enable Find my Ios downloads. Now test the service on web. iOS 5.1.1 untethered jailbreak :Absinthe 2.0 landing!!!!! Some of you might be in fear of not updating ios version 5.1.1 due to no jail breaking option in it. Good news for you all. 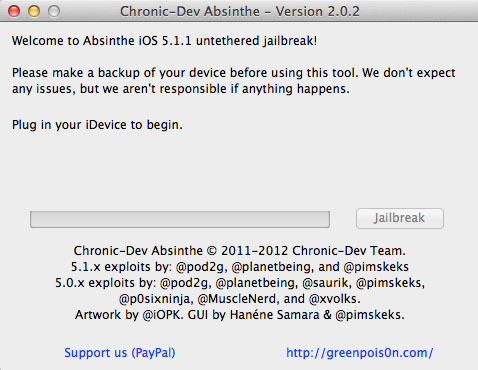 Apple has launched new software Absinthe 2.0, that enable to jailbreak even ios5.1.1. The new software launched in Box security conference enables to download apps outside Apple store. The new jailbreak will be unethered i.e. you don’t have to reboot your device to external computer & allow to load third party apps. It also allows unsigned codes to run & access on the device. You can also download extensions, themes, applications etc. This new jailbreak will be added to existing jailbreak apps. The new release announced by jailbreak dream team. “This was certainly one of the most highly anticipated talks we’ve EVER had at one of our HITB conferences, and we’ve done quite a few of these. The excitement from the Dream Team followers and overall Twitter and online buzz has been terrific!” said in conference by Dhillon Andrew Kannabhiran, Founder and CEO of Hack in the Box. This software is compatible with all Apple devices powered by A4 &A5 devices & running ios5.1.1 & this is first software to unlock new iPad. TinyTap turns moments in to games!!!! 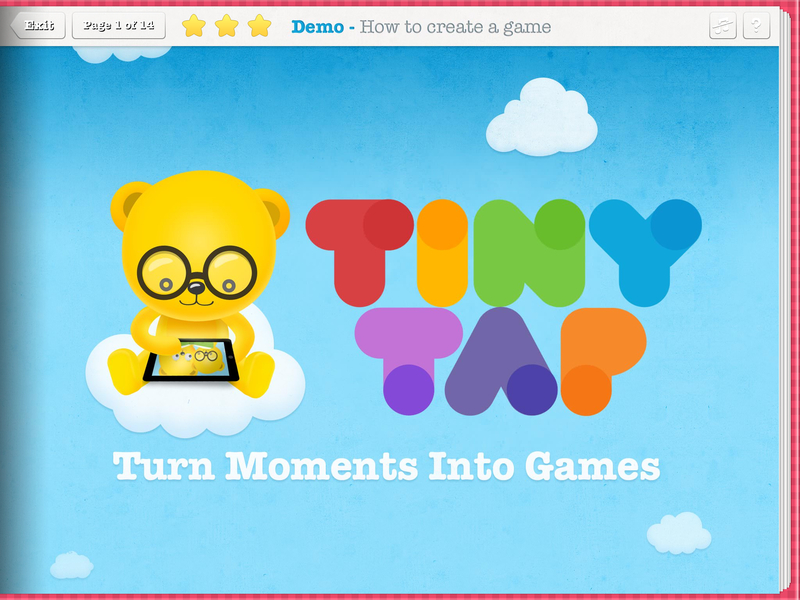 TinyTap a new Ipad app designed specially for kids that turn their best shared moments in to “educational games”. It’s a best option to entertain your young ones with an enhanced thought. This app not only made your child a game player but also a game creator. Designed specially for 4 above age group this app introduces a better option to personalize your gaming by “recording your own voice” option which offers you to customize your playbook & game with your own voice, narration & music. Every time your child plays game he hears his lovable ones voice playing with them. This is a best way to wrap kids little minds. You can record, ask a question in between, and add hints, photos, so your little ones could also enjoy a familiar experience. You can visualize your little ones progress & also share them with your friends & family. The enhanced graphics that you will love to see with retina display make your gaming more real. In all, it’s just best to enhance child imagination with colors, animals & various educational creativities. 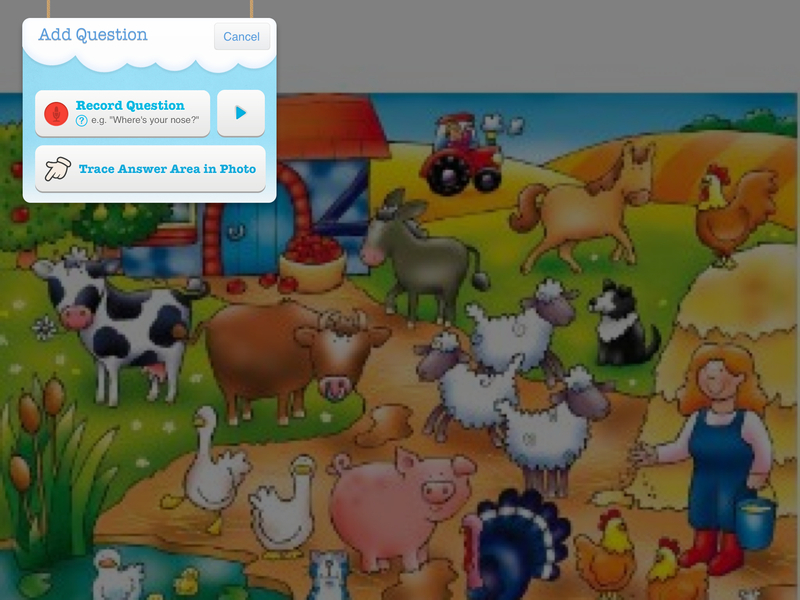 It’s simple to use: just add photo, record questions, music & answers just ready to use!!!! You can download this app here!! !